People who give up their free time to volunteer and support their local community offer a vital service to Cheshire West. Now the Council’s four Work Zones are offering a Level 2 Award in Volunteering as recognition of their activities. It is a free qualification for anyone claiming an out of work benefit who is more than 19 years old. The Level 2 Award in Volunteering qualification is designed for individuals considering undertaking, or currently engaged in a volunteering role. It is designed to enable individuals to: consider what they can offer as a volunteer, understand the rights and responsibilities of a volunteer, undertake a volunteering role. It is available across all four work zones and delivered over five sessions: two in the classroom, two 1:1 sessions and one observation. Customer must ensure they are in a work experience placement for the duration of the course at least. Those who don’t’ currently have a volunteering placement will be given help to find one by the team at the Work Zone. 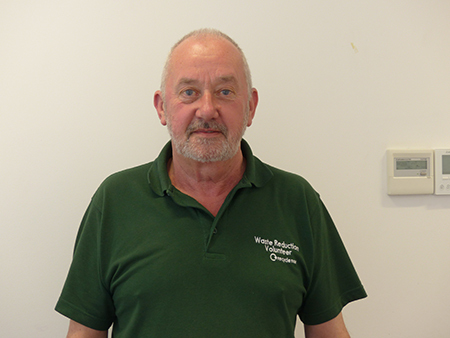 Among those volunteering in Cheshire West is Jim Struthers from Kelsall who is one of hundreds of people across the borough helping to create a thriving community by giving up their free time to support the smooth delivery of council services. Jim said: “I think volunteering is infectious, because there is a real feel good factor. People appreciate what you do and you want to keep on doing it. You will choose other jobs and will also do some other volunteering roles. Councillor Brian Clarke, Cabinet Member for Economic Development and Infrastructure, said: “There are so many people giving up their time to help local causes and the local community. Without volunteers, many vital support services would cease to function. The volunteers help the borough achieve its aims of creating a thriving place with thriving people. For more information on the Level 2 Volunteering Award call: the Northwich Work Zone on 01606 288540, the Chester Work Zone on 01244 976028, the Winsford Work Zone on 01606 288901 and the Ellesmere Port Work Zone on 0151 356 6667.